Affiliate Disclosure: Pink and Green Mama is a participant in the Amazon Services LLC Associates Program, an affiliate advertising program designed to provide a means for sites to earn advertising fees by advertising and linking to amazon.com. 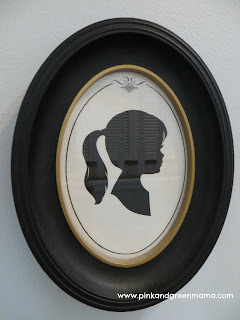 in Downtown Disney to create our second set of profile silhouette portraits of our daughters. as well as some "scenes" for their rooms. "C"(age 6) has a Pumpkin Carriage, a Thumbelina, and a Rapunzel Tower silhouette in her room. 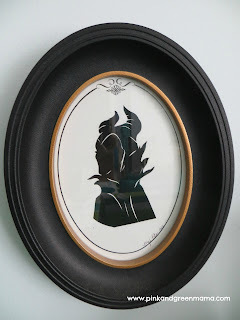 "E" (age 10) has her favorite Disney character, Maleficent's silhouette in her room. 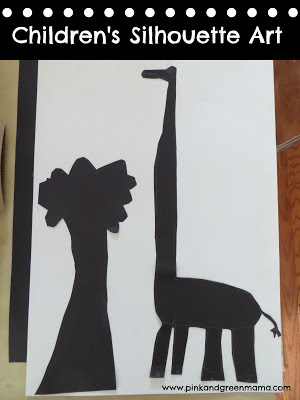 she sat down at the counter with some black construction paper and a pair of scissors and created this beautiful silhouette of a giraffe with a tree. "C" sketched her drawing with pencil then cut it out and glued it down with a glue stick on white paper. I was blown away. I'm planning to frame it for the hallway silhouette gallery. When her big sister, "E" saw what she was up to, she wanted to make one as well. 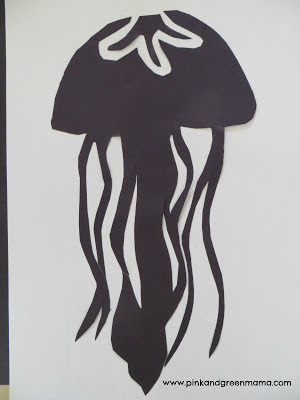 She cut out this beautiful Jelly Fish and I'm going to have to frame it too! 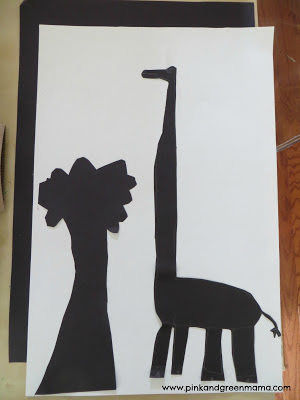 We will be making more silhouette art this summer! Thanks for the inspiration Meghan!